An exciting bridge for photography enthusiasts. One of the longest suspension bridge in Bhutan, spanning 350m and perched high above the very swift river of Po Chhu. Draped with prayer flags, the bridge connects the town of Punakha and the Punakha Dzong, mainly used by locals from the other side of the town as a shortcut to Punakha Dzong. 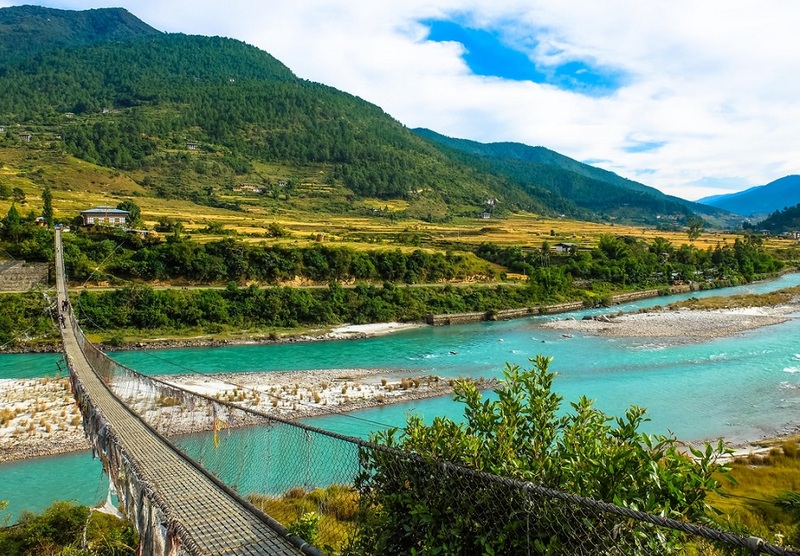 The bridge connects the dzong with the villages on the other bank of the Po Chhu river — Shengana, Samdingkha, and Wangkha — where traces of the Divine Madman Drukpa Kuenley can still be found, in the form of local stories, monasteries and markings on rocks.